JKE Robotics,S.L. 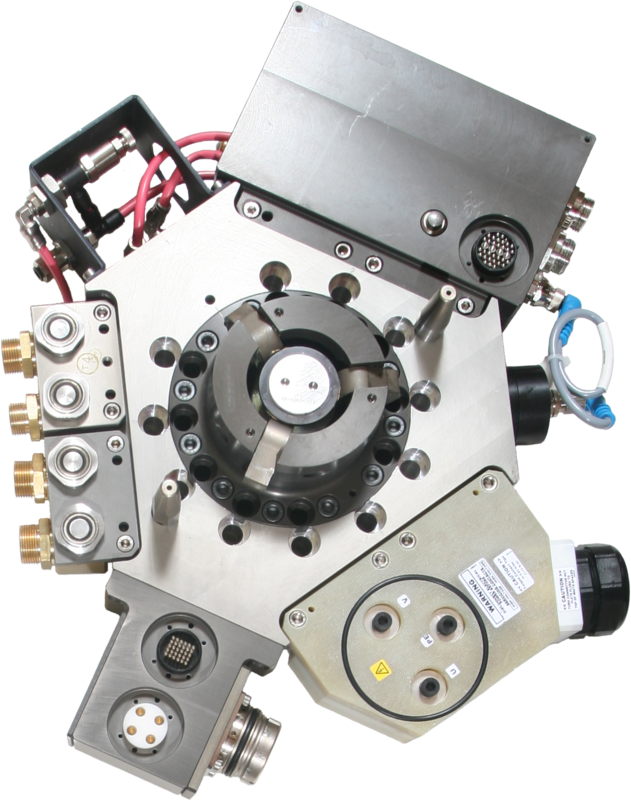 offers a complete line of robotic tool changing solutions designed to increase the functionality, flexibility, and productivity of your robotic work cell while at the same time increasing production throughput by minimizing equipment downtime. Principle : tool changing systems allow for rapid, reliable, and automatic changing between several different tools (gripper, material handling fixture, welding gun, etc.) on the same robot or between two different robots. 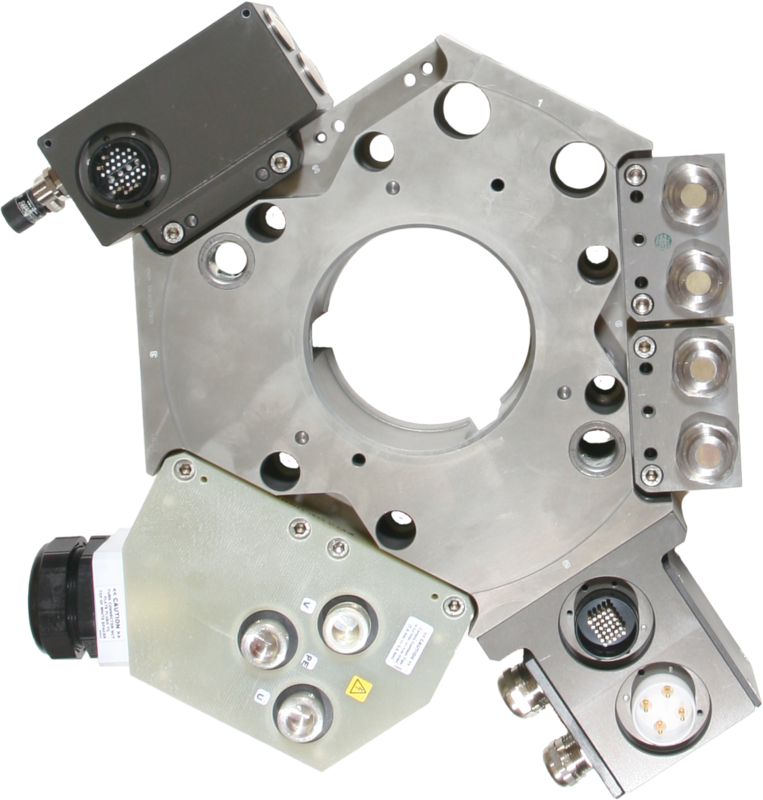 Each robot is outfitted with a single robot adaptor that interfaces or locks on to a corresponding tooling adaptor mounted on each individual tool. This allows the robot to perform many different unique processes in the same work cell by changing between several different tools. All air, water, electrical I/O signals, welding current, hydraulic, vacuum, and other utilities required to operate each individual tool are routed through and automatically connected / disconnected via its own set (robot side / tool side) of standard as well as custom designed interface modules. Advantages : During tool repair and maintenance, manual tool changing can be costly and inefficient. Miss-matching of electrical connectors and utility lines occurs all too often, resulting in lengthy downtime. 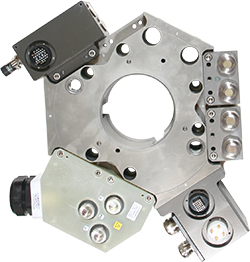 Tool changing solutions automate and improve this process by minimizing further down time costs due to repairs as well as potential re-calibration, programming, and plumbing errors that could damage your tooling. 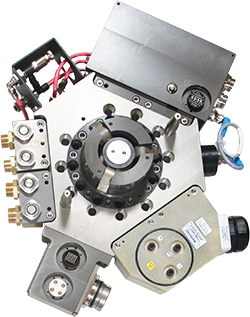 The unique wear-compensating, fail-safe three-cam locking mechanism used on all tool changing systems with redundant anti-drop functionality built-in, allows for the safe handling of heavy pay loads with high moment forces during the quick acceleration and deceleration experienced during today’s high-throughput, low cycle time manufacturing. Applications : Material handling, assembly, load / unload of CNC machines, palletizing, inter-press transfer, spot welding, arc welding, dispensing, material removal, automatic mold change, and many more. The payloads are estimated. For a right Tool Changer solution, please contact with JKE Robotics, S.L.